He said the establishment of the Data Centre and Disaster Recovery Site, demonstrates the BoG’s commitment towards establishing a robust business continuity system. The facility, he noted is to deal with incidents that could disrupt operations and possible reputational damages. He observed that this informed the need to put in place the facility – which meets international standards – to deal with unexpected events that may lead to total shutdown of the Bank’s operations. Dr. Addison said on completion, the need arose for the Bank to have a second data centre of the same rating at a different geographical area to comply with the Bank’s ISO27001 and Business Continuity standards. 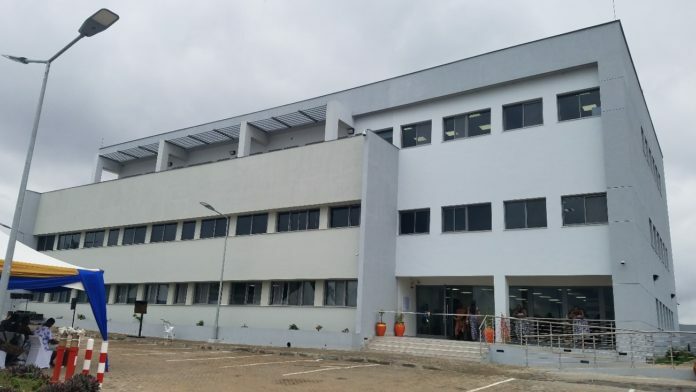 The facility, constructed by Messrs SuperTech (STL) Limited, is intended to act as a backup in case of an emergency or disaster where the Bank may not be able to relocate to the primary EOC in Accra, and rather operate from Kumasi. He stated that Bank of Ghana’s information systems are central to the successful delivery of its mandate. Almost all operations of the Bank require the use of one IT facility or the other. In recognition of the criticality of the IT assets, Dr. Addison said, the Bank of Ghana has developed an Information Security Management System (ISMS) strategy which among others, emphasises preventive as well as corrective measures to deal with IT-related disruptions. He explained that “Such preventive measures are aimed at building resilience into the IT system to reduce the probability and impact of disruptions to the system.” However, where there is a disruption, the Bank’s IT Disaster Recovery Plans are to be invoked to ensure that the Bank delivers time-critical business functions. The ‘Disaster Recovery Site’ is a three-storey structure with a gross floor area of approximately 2,890 square meters. Provisions have been made for Business Continuity Offices, General Office Spaces, Executive Offices, Meeting Rooms and most critically, the Data Centre. The building is also disability friendly and fitted with state-of-the-art security installations. The deployment of a Building Management System also ensures efficient use of energy. Considering how hard infrastructure enhances economic activity in local communities, the BoG said it intends to make the roads that surround the facility as motorable as possible. Additionally, other community project will also be undertaken, as part of the corporate social responsibility, of BoG. To maintain the credibility of the Central bank, it has been suggested that the government and management of the Bank of Ghana (BoG) should consider to outlaw past and present Governors from owning banks. The development, seen to be some form of conflict of interest, according to Otumfuo Akomforehene, Nana Oheneba Akwasi Abayie, is not healthy to the work of the regulatory body. He said “You cannot be a regulator and a player at the same time,” while insisting that doing otherwise does not set a good example for the Bank of Ghana, as a regulator.